PRESS RELEASE: WHY is Canada Allowing Iranian Parliamentarians to Attend the Inter-Parliamentary Union in Quebec? 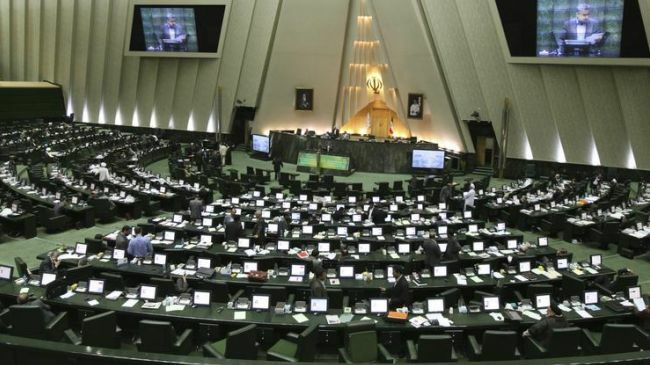 Iranian Parliamentarians headed by Iraj Nadimi Chairman of the Executive Council of Iran’s Inter-Parliamentary Group have headed to Quebec City to attend the Inter-Parliamentary Union meetings which is scheduled for October 21st to October 26th 2012. 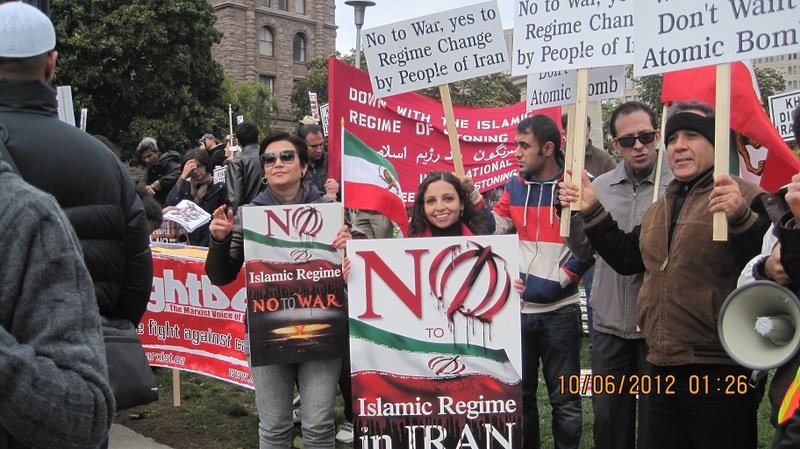 “No to War in Iran Protest” Excludes Iranian Canadian Pro-Democracy Activists! Today I attended the No War in Iran Protest at Queens park. The protest was organized by Toronto Coalition to Stop War and the only focus was saying no to war without condemning the Islamic Regime and its human rights violations against the Iranian people. Many Iranian/Canadians who are very much against war in Iran felt isolated by this protest as it did not address the concerns of Iranians, mainly that while we do not want any type of military intervention in Iran we also do not support the Islamic Regime in Iran! Tens of Iranian Canadians gathered at Queens Park today with slogans of No to Islamic Regime in Iran and no War in Iran, making sure that our voices were heard. What I found most interesting about the protest was that the organizers who had managed to gather hundreds of people during their last protest in March of this year were not very successful this year. The Crowd was relatively small and there were NO Islamic Regime flags present at the rally, something that was present during the last rally and was a great cause of concern for many Iranian Canadians. Experience has shown that anyone that claims to be against war but does not take a position against the Islamic Regime is knowingly or unknowingly supporting the Regime. This was clear from the presence of numerous known regime lobbyists at today’s protest. PRESS RELEASE: Condemn the First Nation Leaders’ Trip to Iran! The former First Nations Chief Terrance Nelson is scheduled to travel to Iran on October 11th 2012 to meet with Islamic Regime officials despite the economic sanctions and the suspension of diplomatic ties between Canada and Iran. Sayeh Hassan further stated “Experience has shown that the Islamic Regime will not step up and help anyone without expecting something in return. There is no telling what the Iranian Regime will expect from the First Nations Community in return for any cooperation or economic benefit. It is no secret that the Islamic Regime has been very active in spying on Iranian dissidents in Canada and has tried to infiltrate various Canadian entities. Who is to say the Regime would not require the First Nations Community to help the Regime with these goals? Ms. Hassan concluded “I urge the First Nations community and all Canadians to condemn Mr. Nelsons trip to Iran which in part will serve to give the Regime a much needed credibility boost. 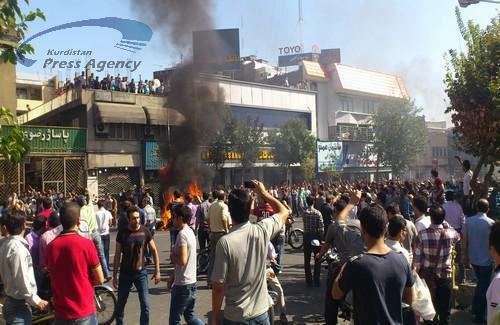 Major Protests Rock Tehran following Economic Crisis in Iran! Today thousands of Iranians took to Tehran streets protesting against the regime following the latest economic crisis with the Iranian economy plummeting and the Iranian currency “rial” constantly loosing value and forcing Iranians into an even deeper line of poverty. According to various news agencies The Tehran Bazaar on Ferdowsi street has been closed down by the merchants, as thousands of Iranians entered the bazaar in protest chanting slogans and encouraging the merchants to join them in their protests. Many banks in the area have also closed for the day. Security forces are reported to be on the scene doing their best to put an end to the protests. There have been reports of tear gas being used on the protesters. This is the largest protest Tehran has seen in months, and hopefully the start of a wave of protests that will bring the Regime down!